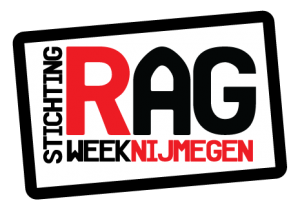 Each year Stichting RAGweek Nijmegen makes a donation to two charities. To always enlarge the RAGweek, each year programme booklets, flyers and posters are printed to notify Nijmegen about this special event. However, this is impossible without the revenues of partners. The programme booklet has a circulation over 3000 pieces en will be spread throughout Nijmegen. This therefore means a broad reach. Are you curious which other advantages partnership with RAGweek Nijmegen can have for you? Please contact us! Besides those partners many others contributed to our anual lotery.